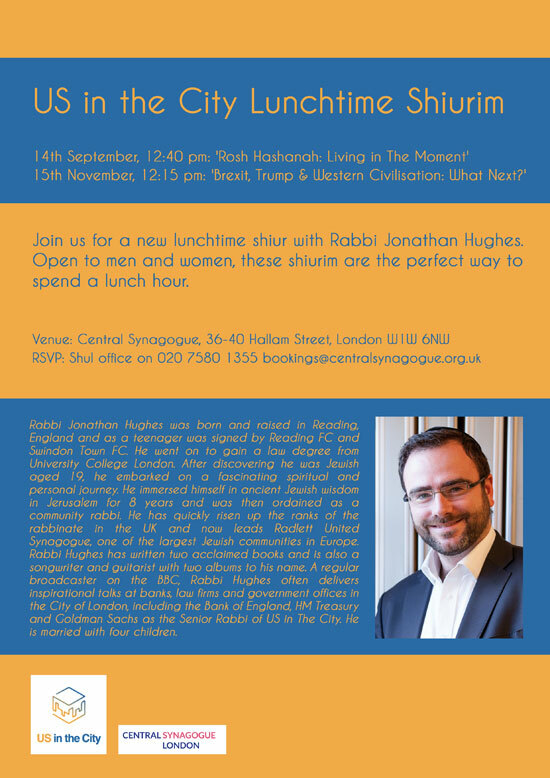 Join us for a new lunchtime shiur with Rabbi Jonathan Hughes. 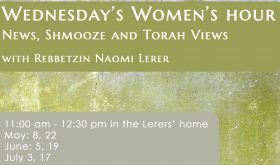 Open to men and women, these shiurim are the perfect way to spend a lunch hour. Rabbi Jonathan Hughes was born and raised in Reading, England and as a teenager was signed by Reading FC and Swindon Town FC. He went on to gain a law degree from University College London. After discovering he was Jewish aged 19, he embarked on a fascinating spiritual and personal journey. 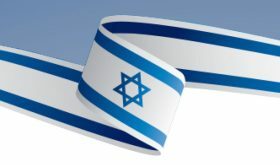 He immersed himself in ancient Jewish wisdom in Jerusalem for 8 years and was then ordained as a community rabbi. 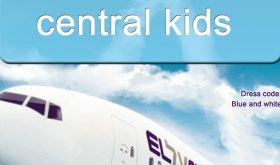 He has quickly risen up the ranks of the rabbinate in the UK and now leads Radlett United Synagogue, one of the largest Jewish communities in Europe. 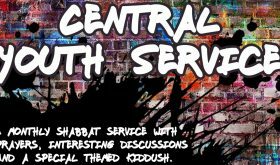 Rabbi Hughes has written two acclaimed books and is also a songwriter and guitarist with two albums to his name. 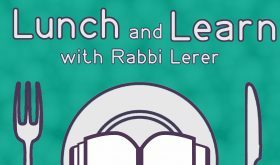 A regular broadcaster on the BBC, Rabbi Hughes often delivers inspirational talks at banks, law firms and government offices in the City of London, including the Bank of England, HM Treasury and Goldman Sachs as the Senior Rabbi of US in The City. He is married with four children.